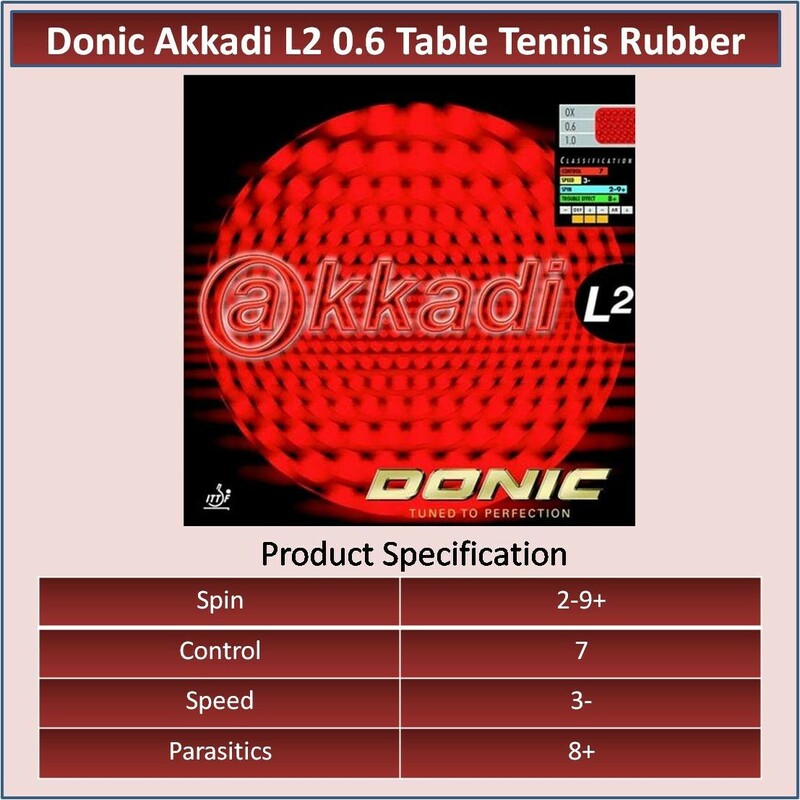 The most versatile of long pimpled rubbers DONIC AKKADI L2 is a versatile long pimpled rubber which is equally effective for controlled play close to the table and for the classic defensive game. Good control and the ability to impart a lot of backspin can be achieved with this rubber well away from the table. 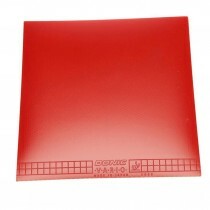 The OX version (without sponge) and 0.6 mm (with a very thin sponge) enables the player to play close to the table. 1. The new pimpled top surface produces unexpected variations of spin. 2. 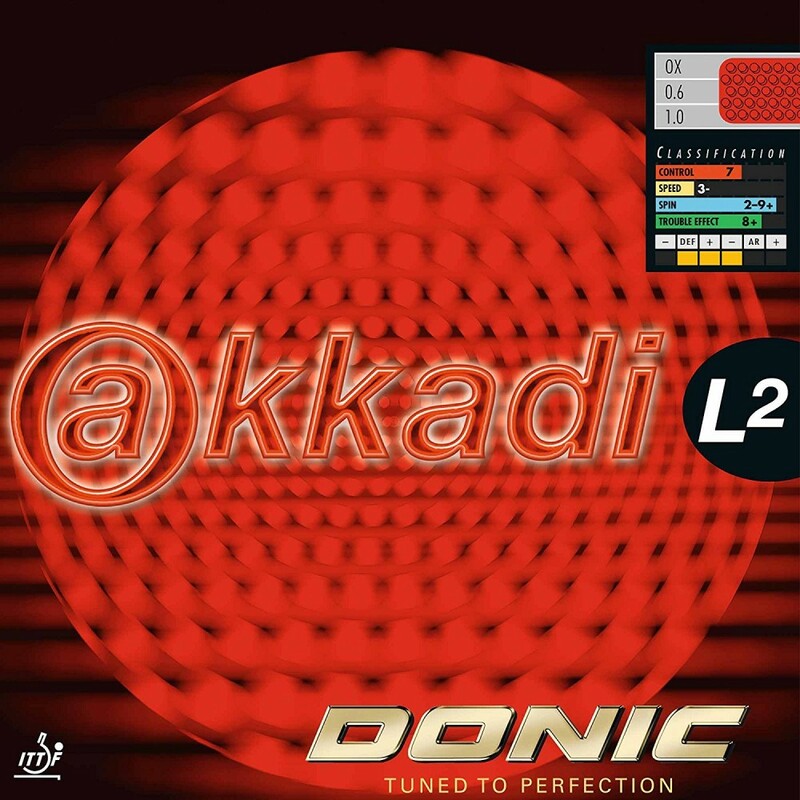 The AKKADI L2 makes awkward attacking strokes possible and, therefore, has all the qualities of a genuine allrounder. 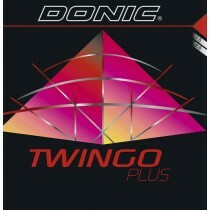 Donic Twingo Plus Table Tennis Rubber.